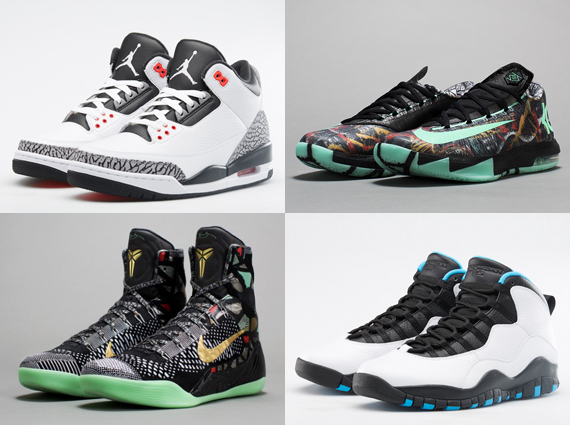 Foot Locker has quite the restock planned for Final Four Weekend. There will be Jordan 6s, Jordan 3s, Jordan 10s, the entirety of this year’s “All Star” pack from both Nike Basketball and Jordan Brand, and much more. The restock will not go down at Footlocker online though – only a handful of brick and mortar spots in the Dallas area will have access to the sneakers. Continue reading to get the full details on all the pairs that are coming back and which spots will be stocking them and then tell us in the comments which you’re anticipating the most. **Please be advised that product availability will vary by store and not all the stores listed above will receive all of the product shown.